Tuesday, April 9 at 9pm ET, PBS will premiere Reconstruction: America After The Civil War,a new four-hour documentary executive produced and hosted by Henry Louis Gates, Jr. Viewers will see a definitive history of one of the least understood chapters in American history. This new documentary explores the United States’ emergence from the Civil War and slavery, as well as the thwarted vision for an interracial democracy that still impacts the country more than 150 years later. 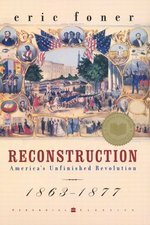 You can read up on the subject before Reconstruction premieres with this Reading List. Contact your local library (or bookseller) if any title catches your eye. 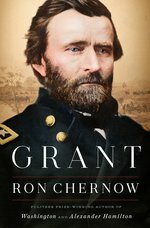 Each of these esteemed authors are taking a unique look at this moment in history, offering nuanced perspectives and analysis. 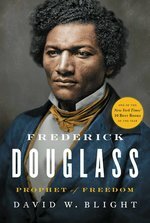 An iconic abolitionist, writer and orator, Douglass not only published his own newspaper, but wrote three successive versions of his autobiography. Blight’s research included information from a private collection that few historians have consulted, as well as newly uncovered issues of the aforementioned newspaper. Blight details Douglass dismay at the nation’s abandoned attempt at Reconstruction, and the emergence of Jim Crow laws. It would make for an enlightening counterpoint to follow-up Grant’s experience of Reconstruction (from Chernow) with Blight’s description of Douglass, as witness to those years following the Civil war. A previously unpublished manuscript from the author of Their Eyes Were Watching God takes us back 90 years ago to an interview Hurston conducted while working as an anthropologist in Plateau, AL, compiling the life story of Kossola (also known as Cudjo Lewis). 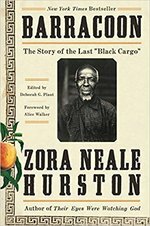 Hurston details Cudjo’s arrival in 1860, transported on the last American slave ship. Hurston shows, through a tragic moment in Lewis life, that the echoes of Reconstruction-era tensions stretched more than 30 years past the end of the Civil War. Notably, hip-hop drummer Questlove made the discovery on PBS ‘Finding Your Roots’ that he is a descendent of a couple who were aboard the very same ship as Cudjo. As Hurston’s book shows, this ship arrived more than a half-century after the international slave trade was banned. To indicate “the busyness” of lawyers in the aftermath of the Civil War, Hoffer writes that “from all indications, it is reasonable to say that postwar legislation was as much for the lawyers and their clients as for the freed men and women.” Hoffer illuminates the influence of lawyers and the evolution of American jurisprudence up to, during, and after the war, reframing the Civil War’s conflict with arguments made before the first shot was fired: as a dispute between the South defending succession as legal, and the North contesting it as illegal. Advocates of an 1866 Civil Rights Act, Hoffer’s book shows, were only able to glimpse a Constitution, in the days of Reconstruction, which would have ensured equal protection for all. 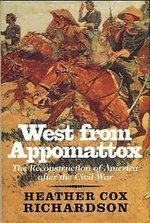 Published in 1988, with a new edition in 2014, Foner’s comprehensive and well-researched telling of the decade following the Civil War, including the corrupt practice of the “carpetbaggers,” the consolidation of a new class structure in the South, and conflicts over the region’s economic resources. Foner’s book details how Americans, both black and white, responded to the profound changes that followed the end of the Civil War, with implications for economic autonomy and an inevitable struggle for (and against) equal citizenship. Dubois’ book-length essay disputed the predominant academic view, at the time of this writing in 1935, that blacks were still incapable of participating in American democracy, assuring them that they were to be free, and yet “not to be citizens; not to be voters.” Dubois’ text argues for a narrative that was concealed up to that point, that of the role black Americans played during these two turbulent decades (and beyond), where both blacks and whites tried to reconstruct, and find their place, in post-war society. The examination of Reconstruction as a contention over what it would mean to be a citizen continues with this recent work; loyalty, as an attribute, was emphasized in what became a post-war requirement for citizenship, be it the “traitors” of the South, or the newly freed slaves. Few were as adamant about the measure of loyalty, as Mathisen shows, than Andrew Johnson, who took on the Presidency after Lincoln’s assassination. What a reader also finds in this book is a look at the Mississippi Vaelly and the attempts to redistribute property and how that only exacerbated the arguments over citizenship. Just as Dubois’ 1935 book worked to expand the narrative frame, historian Carol Faulkner’s 2007 book focuses on black and white women in the Freedmen’s Aid Society’s education program, and highlights the, by that era’s standards, “radical” stance they took on issues like race, labor, and civil rights. Women’s Radical Reconstruction shows the efforts of abolitionists and feminists to shape Reconstruction policy in the years following the Civil War, strengthening a call for universal suffrage and equal economic opportunity. Richardson takes us from the South’s surrender onward to the turn of the century, as politicians, special interest groups, and industrialists wrestled with each other’s ideals and motives, each trying to secure their own visions for what post-war American life would be like. 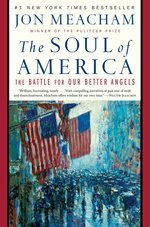 Richardson’s book is a captivating portrayal of a country finding its identity, with two regions (the North and South) ostensibly carrying on their conflict just as it was expanding into a new region, leading to the formation of a middle class, and the evolution of American individualism.